When Sheila Kohler was thirty-seven, she received the heart-stopping news that her sister Maxine, only two years older, was killed when her husband drove them off a deserted road in Johannesburg. Stunned by the news, she immediately flew back to the country where she was born, determined to find answers and forced to reckon with his history of violence and the lingering effects of their most unusual childhood—one marked by death and the misguided love of their mother. 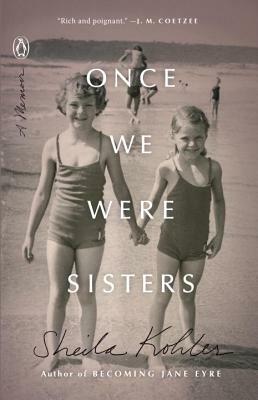 In her signature spare and incisive prose, Sheila Kohler recounts the lives she and her sister led. Flashing back to their storybook childhood at the family estate, Crossways, Kohler tells of the death of her father when she and Maxine were girls, which led to the family abandoning their house and the girls being raised by their mother, at turns distant and suffocating. We follow them to the cloistered Anglican boarding school where they first learn of separation and later their studies in Rome and Paris where they plan grand lives for themselves—lives that are interrupted when both marry young and discover they have made poor choices. Kohler evokes the bond between sisters and shows how that bond changes but never breaks, even after death. Sheila Kohler was born in Johannesburg, South Africa. She is the author of fourteen works of fiction including the novels Dreaming for Freud, Becoming Jane Eyre, and Cracks, which was nominated for the IMPAC Dublin Literary Award and made into a film starring Eva Green. Her work has been featured in the New York Times and O Magazine and included in The Best American Short Stories. She has twice won an O'Henry Prize, as well as an Open Fiction Award, a Willa Cather Prize, and a Smart Family Foundation Prize. She teaches at Princeton University and lives in New York City.